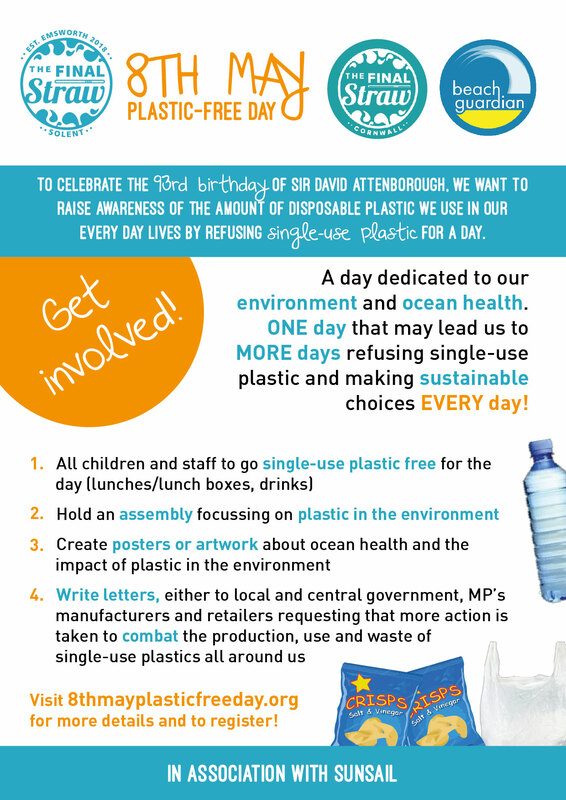 If you are on this page, it’s hopefully because you have taken the brilliant step of choosing to take part in our 8th May Plastic-Free Day. Firstly, thank you! 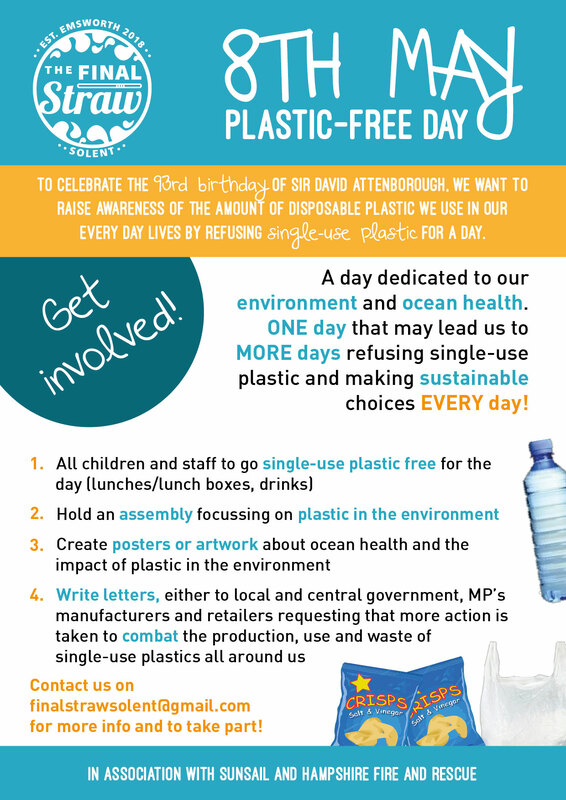 It’s just one day, that will hopefully lead to more days choosing to say no to pointless, disposable plastic in an effort to reduce the amount of plastic pouring into our local environment and wider seas and oceans. We are coordinating this day and providing all the resources below, free for schools to download and use. Please make sure you email us at finalstrawsolent@gmail.com so that we can add you to our list of participating schools! 34MB video, 7 minutes long. Short video documenting plastic pollution along the south coast of the UK, 7 minutes long. Suitable for older primary age and secondary – some footage of injured seal – please watch in advance to check you are happy to show it for younger children!